A club owned by and run for the benefit of its members. "To further any scheme for advancing the honour or well-being of the School and its past and present members." The Club offers a range of sporting and social activities for its members. 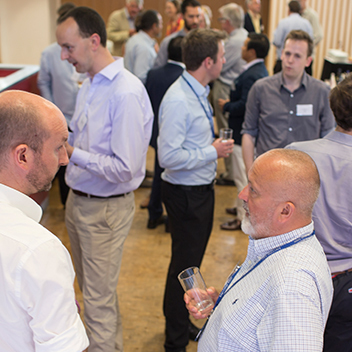 The Club offers a wide range of social events through the year. The principal way for alumni of King's College School to keep in touch with each other and with the School. For 130 years, the Old King’s Club has been the principal way for alumni of King's College School to keep in touch with each other and with their old teachers. The Club is run for and by its members to promote the “honour and well-being” of the whole King’s community. Social activities include dinners and get-togethers at the School, in London and further afield. The Club runs successful rugby, football, golf, tennis, shooting and other sporting sections. The annual OKC Careers Evening gives members the chance to offer advice to current pupils and to meet old friends. 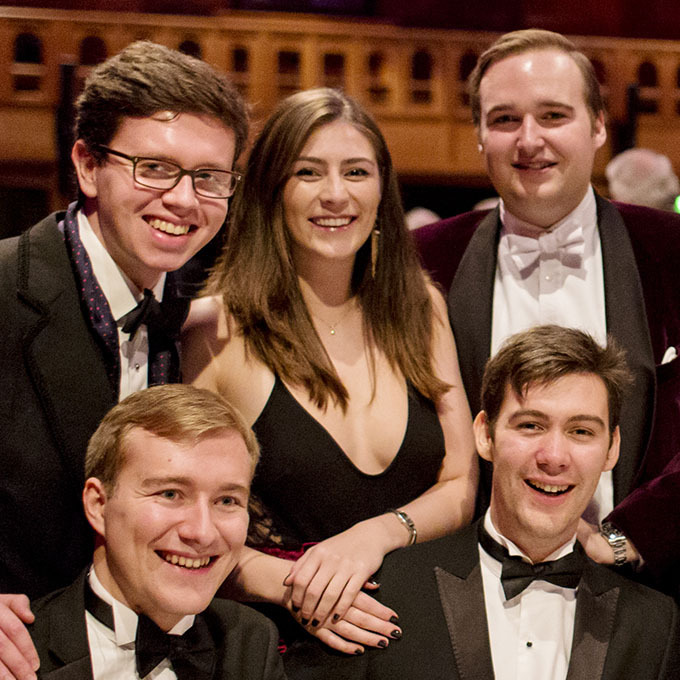 The Club is owned by its members and is independent of the School, but works closely with the King's Association (Development Office), the Friends of KCS and Arthur Wellesley Society. Membership of the Club is open, free of charge, to all former King’s pupils. Members and friends of the OKC are invited to give seminars to small groups of pupils from the Lower 6th Form about their chosen career. The evening starts with drinks and dinner in the Dining Hall before the main event. Please contact the Club if you would like to volunteer. 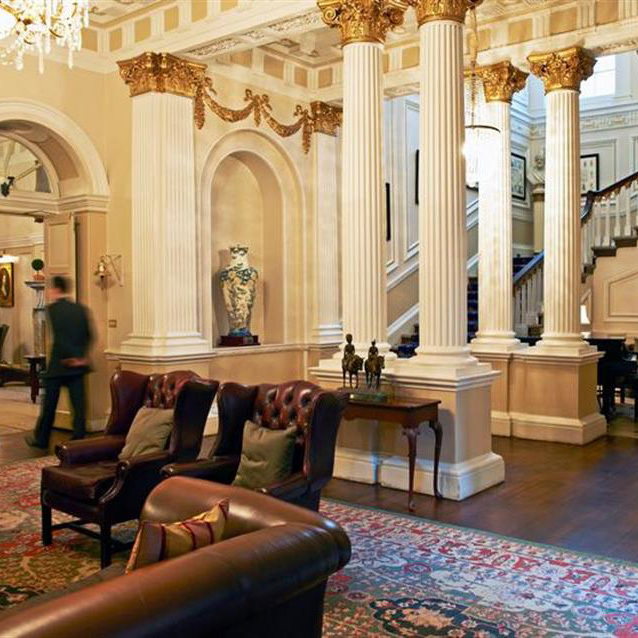 Old King’s Club members are cordially invited to complimentary drinks at the historic Naval & Military (In & Out) Club on St. James’s Square, thanks to Major Neeraj Shah RAMC (OK 2006). The Club’s 2019 Annual Dinner will be held in the Great Hall at King’s. There will be musical entertainment before and after the meal and a few surprises along the way. The Annual General Meeting will be held at King’s College School immediately after King’s College School Corporation’s AGM. Members of the Old King’s Club met at the King Harald V room at the Naval and Military (In & Out) Club to commemorate the anniversary of the duel fought in March 1829 between the Duke of Wellington and the Earl of Winchelsea. On Saturday 8th December, members of the Old King’s Club, the King’s College School staff and the King’s College School pupils gathered for the 11th consecutive Kevin Hawney Cup race on Wimbledon Common. It was a good mixed turnout and a competitive race. Despite an unfortunate wrong turn on the course, all runners finished and Hector Revill, representing his brother in the 4th form, won the race in a very good time of 15:10 over the 2.7 mile course. He was closely followed by Morgan Rennie in the L5th. The race was a great opportunity for OKs to catch up and to have a cup of tea afterwards and we look forward to hosting the 12th race next December. This year’s Annual Dinner took place at the East India, Devonshire, Sports and Public Schools’ Club. The black tie event, in the presence of KCJS Headmaster – Dr Gerard Silverlock, turned out to be an enjoyable evening. We look forward to 2019’s.